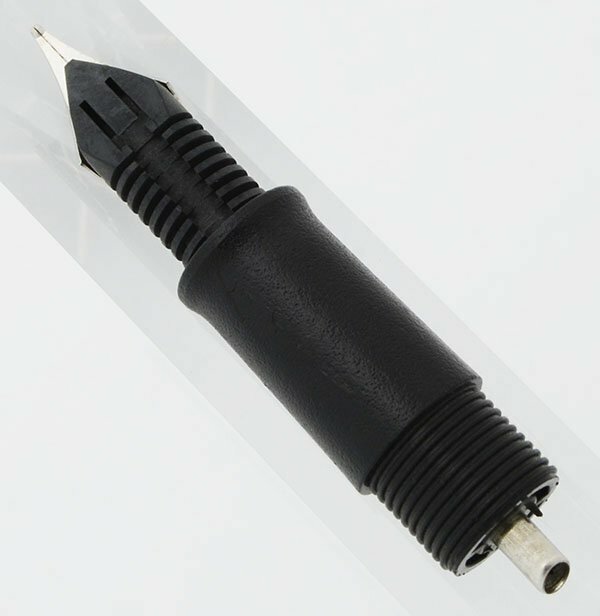 Replacement nibs for classic Sheaffer School Pens. 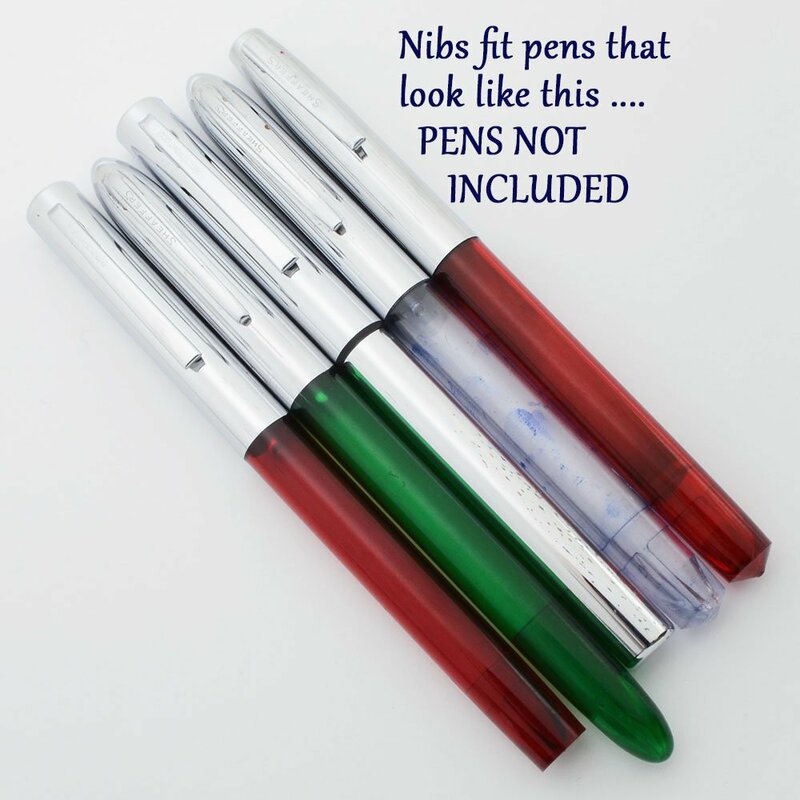 Fits various models including the last school pen model called the Delta. 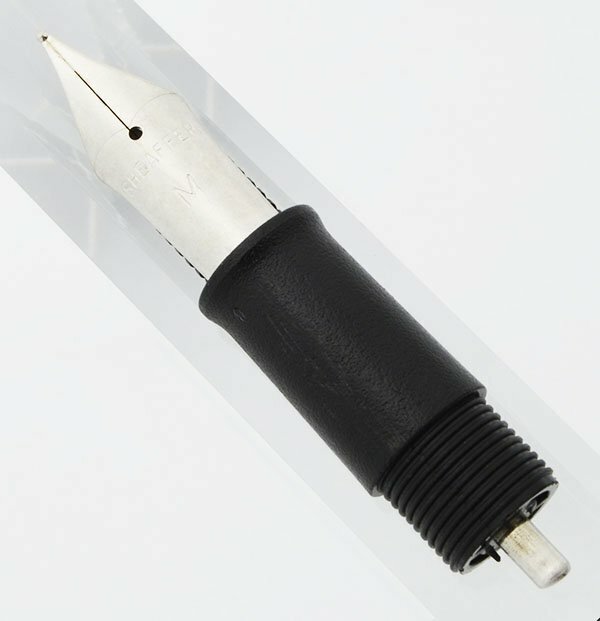 New old stock nibs in extra fine, fine and medium, for a total quantity of three. 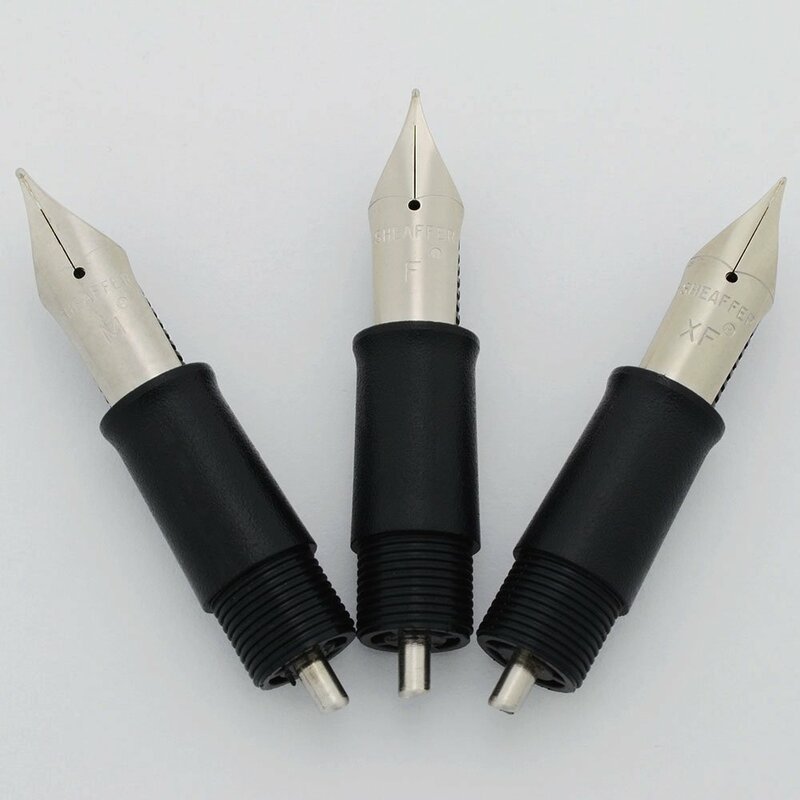 These nibs are not marked as to where they were manufactured. 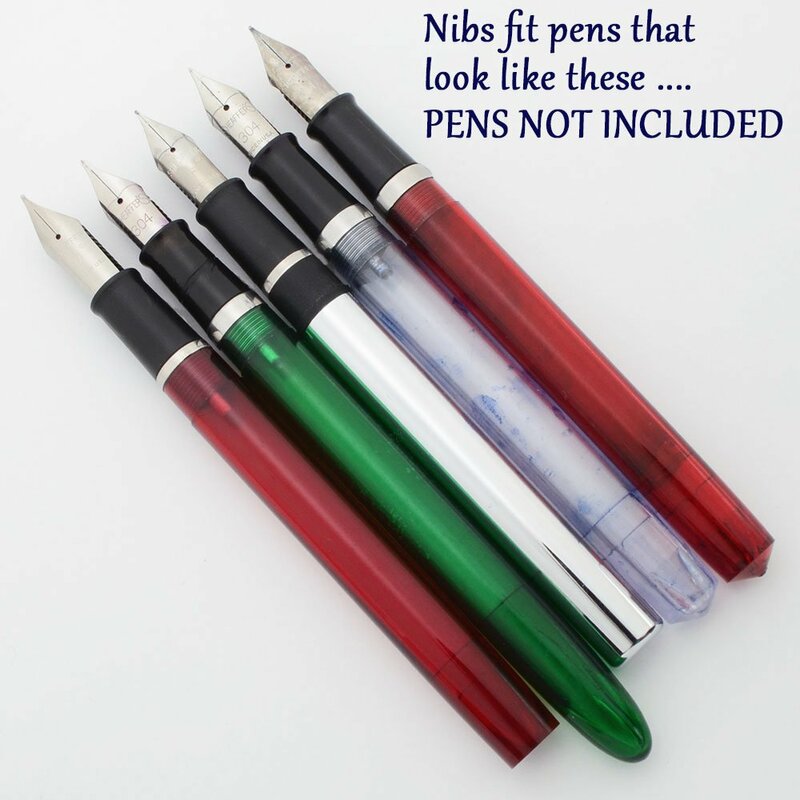 Nib One each of Extra Fine, Fine and Medium.